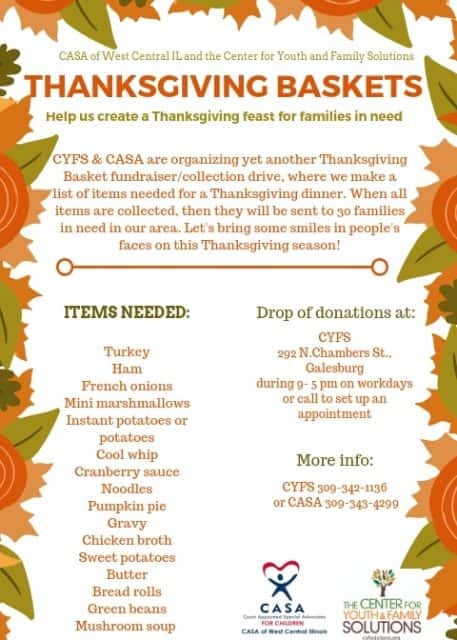 The Court Appointed Special Advocates (CASA) of West Central IL and the Center for Youth and Family Solutions (CYFS) are organizing yet another Thanksgiving Basket collection drive. 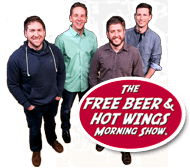 We make a list of items needed for a Thanksgiving dinner, then when all items are collected, we send them to 30 families in need in our area. Thus together we will provide these families with a Thanksgiving feast that normally they wouldn’t have. Let’s bring some smiles in people’s faces on this Thanksgiving season! Get more information at the link below, or contact CASA and/or CYFS.